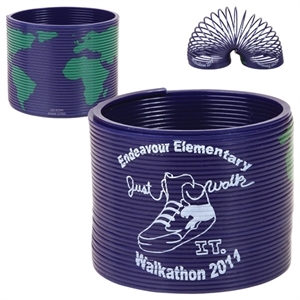 Bounce your brand to serious marketing success with our custom printed promotional spring coil toys. 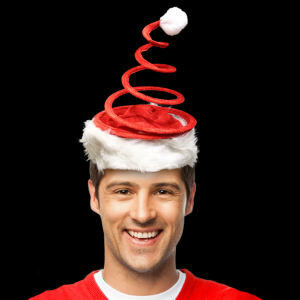 Customized promotional springs and coils are more than just toys; they can even reduce stress. For adults, there is something calming about playing with a promotional slinky, which is why they can help relieve stress as well as entertain. Logo imprinted spring coil toys are great for both clients and colleagues, and their children will love playing with them, too. 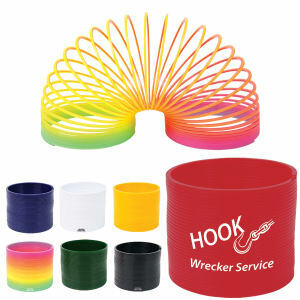 Help your target audience release their inner child by giving away personalized promotional slinky products! 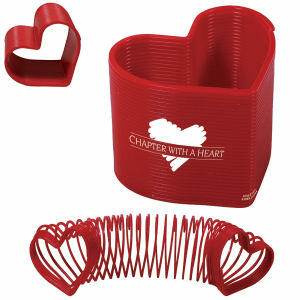 At IASpromotes.com, we have an amazing assortment of custom promotional spring coil toys available for you to personalize with your company name or corporate logo. Promotional coils and spring toys can be used as handouts to customers dropping by your business, or as favors at parties and school events. 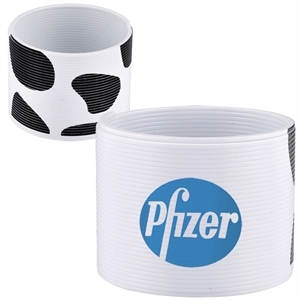 Spring for logoed promotional coil toys to use as giveaways at trade shows and corporate events today!